I didn’t think I could find two awesome books on Debt Payoff in one week, but alas, it has happened!!!! Last week I reviewed our friend Shannon’s book, and this week I had the pleasure of reviewing yet another new, exciting and super helpful book on fighting your way out of debt: My friend Hayley over at Disease Called Debt has published Achieving Debt Freedom: Defeat and Embrace the Debt Rollercoaster – How to Recognize and Overcome the Emotions Linked to Paying Off Debt . Having read pretty much every personal finance book on the face of the earth, I’d become quite bored with the many books out there that give the same ol’ , same ol’ advice about debt: figure out what you owe, budget, and use extra cash to pay off the debt: blah, blah, blah. Don’t get me wrong: these books are amazingly helpful, but for people like me who’ve read them all and yet are still needing motivation to continue on the road to debt free, I needed something, well, different! I found it last week in Shannon’s book, and now here it is again in Hayley’s book! The two things that I really loved about Hayley’s book is that it worked hard to define well why we get in debt in the first place, and why we stay in debt!! She also sprinkles her light-hearted, witty humorous style throughout, making the book a fun as well as an educational read. Achieving Debt Freedom tackles the emotions behind our debt, and that’s a great thing because when we can learn to define and conquer our emotions regarding debt, then we can truly be successful at paying off our debt. Money and debt may be emotional, but that doesn’t mean we need to let our emotions rule over us, and Achieving Debt Freedom shows us in clear and easy steps how to identify and overcome the emotions related to our accumulation of debt, and how to become debt free as well, all in simple, easy-to-follow steps. If you are in debt, or if someone you love is in debt, Achieving Debt Freedom is the perfect gift to help them gain control over their finances again. I highly recommend it. 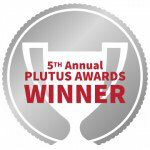 A Plutus Award, A Versatile Blogger Nomination and a Big, Hearty Thank You! Go Haley and Shannon! It’s great to see some personal finance bloggers writing these books and getting the word out there. Inspiring! It sure is. I’m SO excited for them! I like how you mention that the book addresses overcoming emotions related to debt accumulation – I think this is key to getting out of, and more importantly, staying out of, debt. Sounds like a good read! It’s awesome! Another good book to have on your gift giving list for Christmas! I read Shannon’s book and thoroughly enjoyed it. It made me realize that I’m not as financially fit as I thought. I haven’t had the chance to read Hayley’s book yet, but I’ll definitely give it a read. I love her blog so there’s no doubt in my mind that the book will be just as entertaining. I think that’s an incredibly powerful point: money and debt are emotional things and allowing those emotions to rule us (particularly fear) can keep us in debt and prevent us from breaking the cycle. I haven’t read these titles yet, but they’re on my list now. Thanks, Laurie. I think you’ll like them, Myles! I am on an eBook giveaway and Haley’s book is one of the ones on the list. If I don’t win it, I want to check it out. I know and love her blog, so I am really interested in her perspective over the course of the book. Thanks for sharing your thoughts Laurie! I hope you guys have a great weekend!! You’ll love the book, Shannon. You have a great weekend too! I too have outgrown the basics that many personal finance books offer so it’s great that Hayley speaks of the emotional aspects of why many are in debt. It’s good stuff, Kassandra. A step up in money management reading, so to speak. Sounds like 2 great books I need to check out! Glad you enjoyed them! You’d like them, Robin – they’re great! Sounds like a good read. My wife and I are dealing with student loan and mortgage debt and while I think we are doing a good job of consistently making our payments, I’m always looking to learn about how to stay out of debt once we get it all paid off. I agree, DC. This book and Shannon’s books are refreshing and different too, which is nice to see. I like the bit about “define and conquer our emotions regarding debt”. It’s so hard to separate ourselves from our emotions. But it can be done! It’s true that as we battle our debts, it’s so helpful to read something fresh that expands our view or shifts our perspective. All of the rational advice about debt-reduction has little power unless a flash of insight allows us to tap into it. Glad you got some insight from these books! I completely agree, Prudence!! I think that’s why so many people miss it on debt payoff, is because they aren’t aware of how emotion impacts one’s spending and saving. I know… I need to keep finding different ways to motivate me with this debt journey. I will check this book out! You should, Ciel! This book and Shannon’s book are both great motivators.